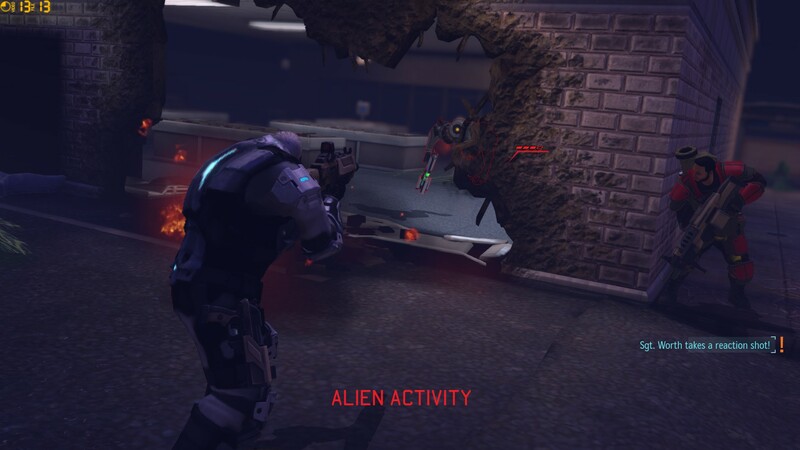 Welcome to the third part of my Let’s Play (Classic difficulty, Ironman mode) for XCOM: Enemy Unknown! 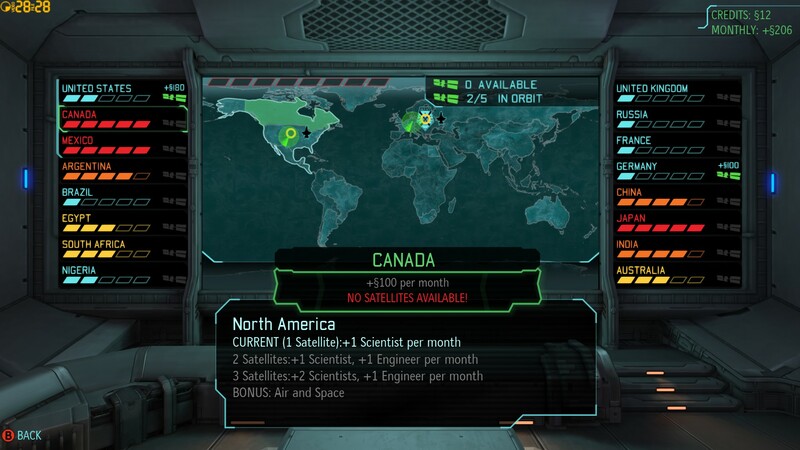 Panic is so high in each of those countries that whichever I choose, the other two will probably withdraw from the XCOM Project. In the end, “Very Difficult” or not, I go with France. I need that money to pay for arms and armour and most of all, satellites. While I expect most of the aliens to be at the far side of the road, I send in Josho to make sure the alleyway is clear. And it’s a good thing I do, because he encounters several Thin Men! The squad takes up position in cover, overlooking the alleyway. There’s not enough cover for frogbeastegg, but she’s the sniper, so she should be okay to engage from range if I keep her well back from the mouth of the alleyway, right? Talorc takes out two of the Thin Men with a rocket, Josho charges down and shotguns the third. I end my turn. And everything goes to hell. If there was ever a time to yell “It’s a trap!”, this is it. Wave after wave of aliens erupts out of the adjoining buildings. Floaters, more Thin Men, Sectoids, half the aliens between here and Mars — they’re all here and they’re pouring into the street, around and between my troops. It’s a chaotic, swarming melee, characterised by a few lasting images. Brian Rubin blazing away point-blank at a Thin Man, missing despite his 87% chance to hit (!!! ), and thankfully connecting on his second shot. Frogbeastegg — still out of cover — lifting her rifle to blast a Floater out of the sky, only to die moments later at the hands of a Thin Man. Farnsworth shooting at a Floater (pictured above), but only wounding it – wounding it! The same Floater dropping down behind Talorc, blasting him point-blank with a plasma rifle, and only wounding him – wounding him! The badly injured Talorc, out of bullets and almost out of options, staggering away and finishing his assailant with a grenade. Brian scouring away two Sectoids with a rocket. On the bright side, Talorc and Brian both earned promotions, and that money from France will come in handy. 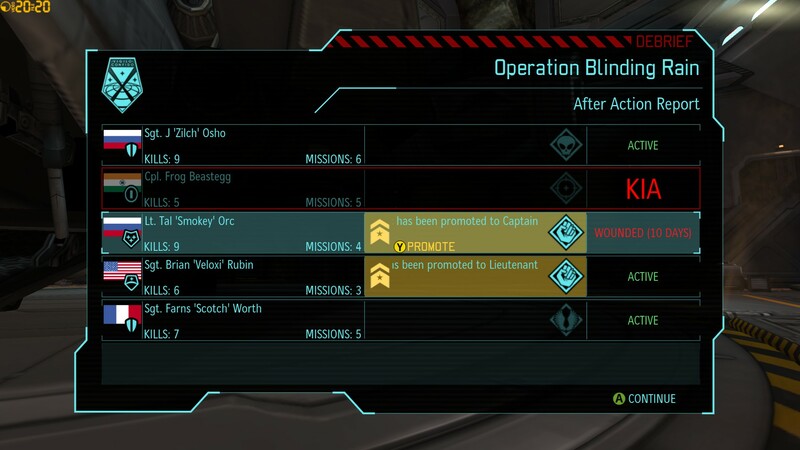 On the negative side, frogbeastegg is dead – my best sniper, and my first loss in over a month. RIP. Meanwhile, panic maxes out in Japan and Canada. Well, at least now I know where to send my next satellite, when it’s ready. I can rescue one out of Japan, Canada, and Mexico, but only Canada will offer me up-front cash. Sorry, Mexico. Sorry, Japan. One air battle later, it’s time for another UFO recovery. Talorc is still in hospital, so it’s up to Brian Rubin to provide adult supervision for the squad. Note the presence of Kat (second from the left), the first rookie I’ve sent out in quite some time. Since it’s only a small UFO, I figure he should be safe. Also, note the gleaming armour everyone now has. That’s carapace armour, paid for with the cash from France. It would probably have saved frogbeastegg’s life, had I been able to afford more than the one suit Farnsworth wore in that mission. 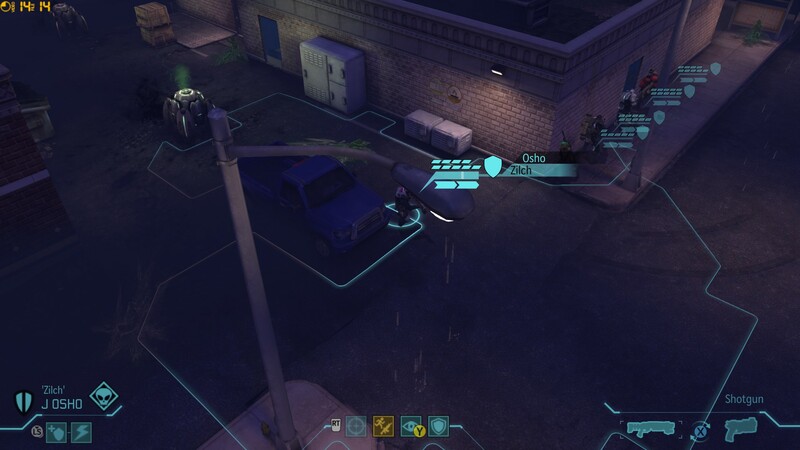 Such is XCOM. For once, a battle goes exactly to plan. My usual creeping advance pays off when the UFO’s Floater crew blunders into my ambush; I find out just how far Floater corpses can fly from a mid-air start when Brian blows two out of the sky with a rocket; and everyone comes home alive. Even Kat! After losing frogbeastegg in France, this piece of cake is just the tonic my bruised confidence needs. Remember I said the game’s difficulty was going to spike in April? This is it. 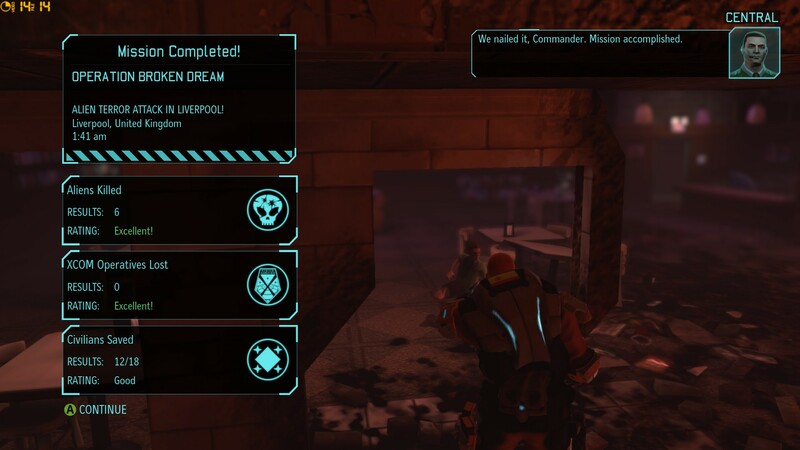 The aliens have sent terrorists into a major urban area, in this case Liverpool, and it’s up to XCOM to stop them. 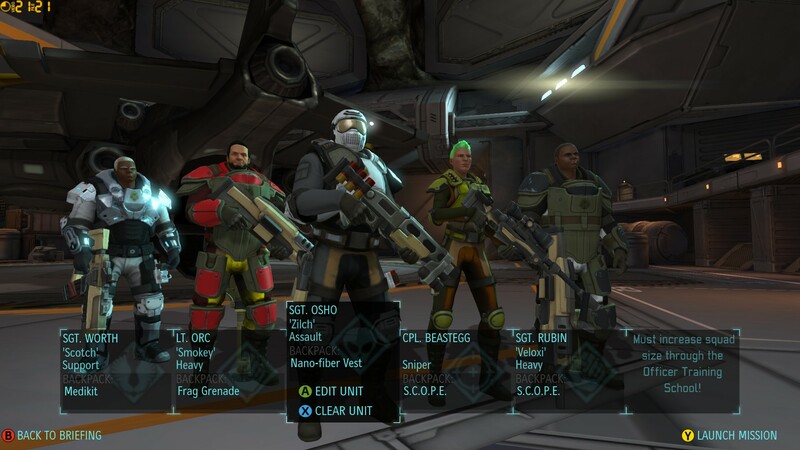 If I had a full, well-equipped squad, I’d feel a lot better. As it is, Talorc is still in hospital, and my soldiers still only have their starting weapons – Dr Vahlen’s beam weapons research won’t be done for another 3 days! This is not good. I still have a couple of levers I can pull. First, now that I have a Captain (in fact, I have two – Brian and Talorc), I can unlock the size-6 squad at the Officer Training School. I’d held off that upgrade at first, but for this battle, I grab it with both hands. 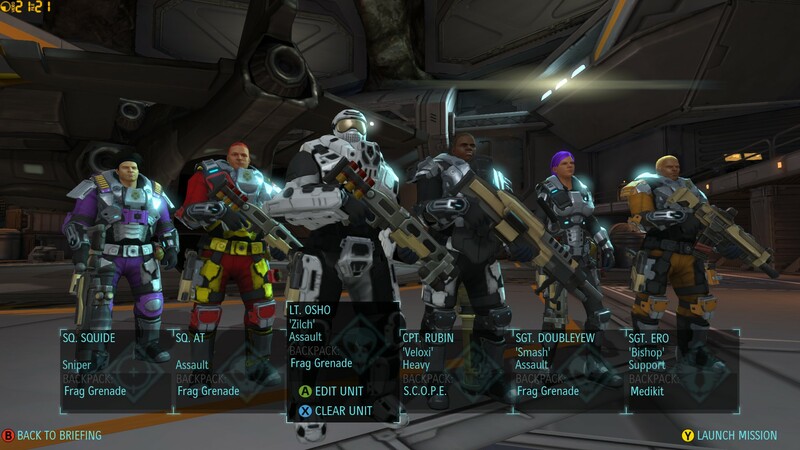 Second, I choose new skills for the levelled-up members of my squad. Notably, Josho gets the Lieutenant-level upgrade “Rapid Fire” (which allows him to fire twice per turn, albeit at reduced accuracy) and Rebecca gets the Sergeant-level upgrade “Close and Personal” (making her more likely to score critical hits at point-blank range). 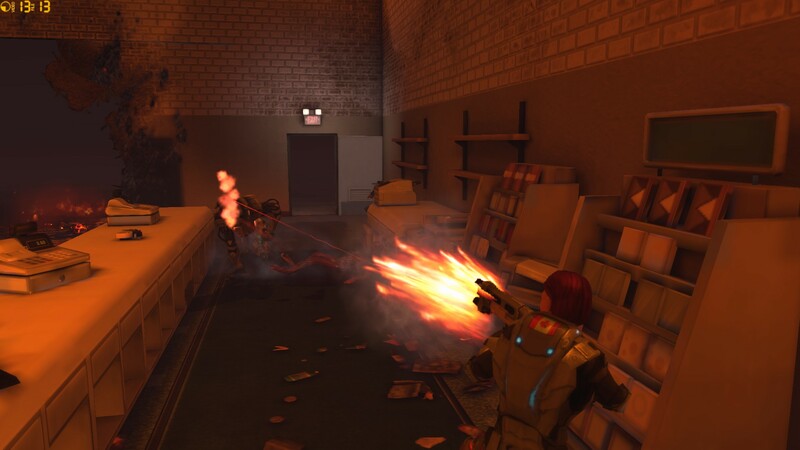 This may come back to haunt her, and me – consensus is that “Close and Personal” is inferior to its alternative, “Lightning Reflexes” (which Josho has – it allows an Assault trooper to dodge the first reaction shot fired at him/her in any given turn) – but for this upcoming mission, I want to maximise my chance of point-blank critical hits. And that’s all I can do to prepare. Alea jacta est. The die is cast. In less than an hour, this mission takes me on a rollercoaster through every emotion the game can produce. 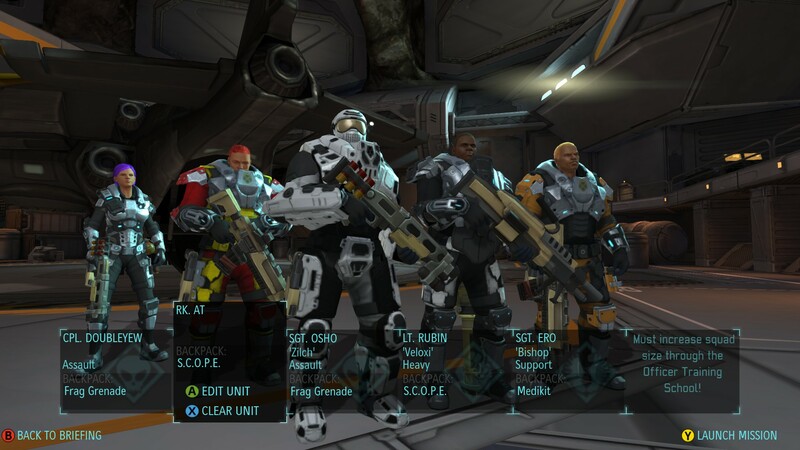 Dread is looking at my squad’s pitiful weapons, above. Perhaps I should have opted for a different Latin quote: “Morituri te salutant” – “Those who are about to die salute you”. If my squad is wiped out on this mission, I promise, I’m going to drop the difficulty down to Normal. 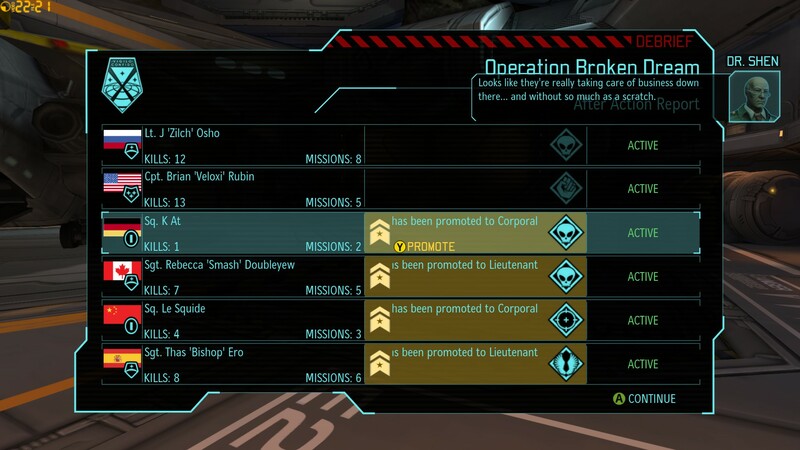 “Operation Broken Dream”, what an apt name. Tension is landing in Liverpool, the sky red with flame, emergency sirens wailing in the background, and civilians cowering all around. Very, very, slowly, I move the squad into nearby cover. Last to move is Kat, and since there’s no cover close enough, I have him use up his entire turn dashing just past one of my other troops. He’s not much farther ahead, so he should be fine. Right? 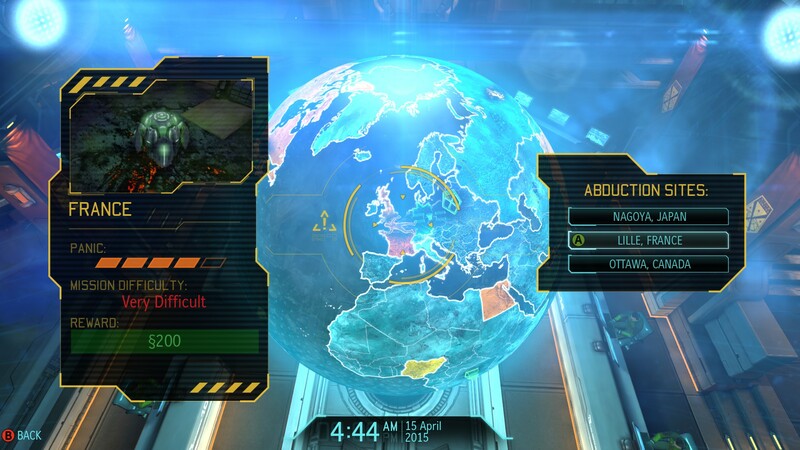 Meet the Chryssalid, one of the XCOM franchise’s most terrifying and iconic aliens. Fast. Durable. Capable of ripping apart a human with those claws, and then implanting its eggs into the corpse. 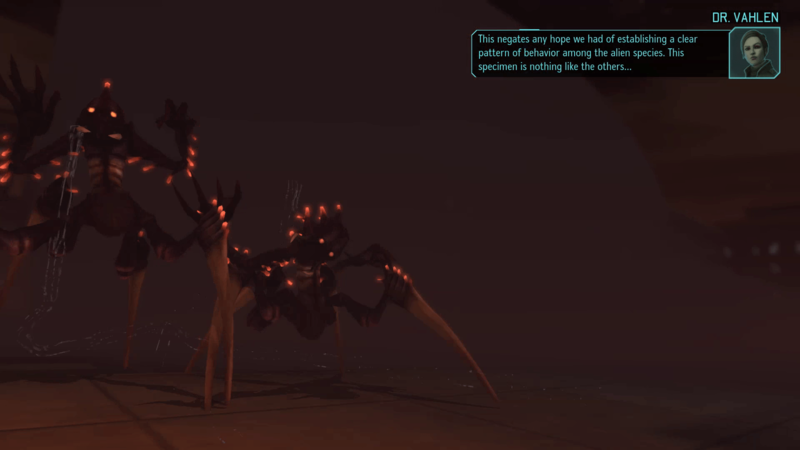 Let a Chryssalid get on the rampage, and you’ll soon have more to deal with. Terror is seeing one of those Chryssalids run right up to Kat. Who is out of moves himself, and unable to shoot. Oh no. Oh no. Oh no. The rest of the squad raises its weapons, but LeSquide and Brian both miss. Thasero has better luck, but his dinky assault rifle only wounds the monster. (This is why I wanted those beam weapons!) It’s up to the Assault soldiers, now — Rebecca and Josho. 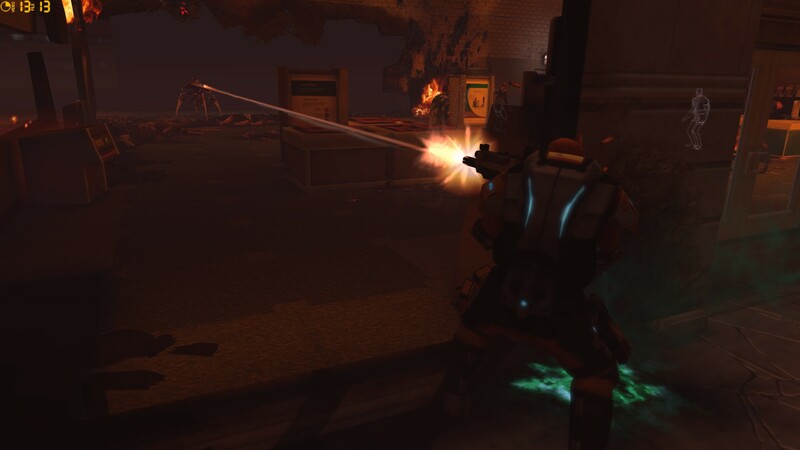 Josho dashes forward, pressing the muzzle of his shotgun right into the Chryssalid’s face. I activate his newly earned “Rapid Fire” skill. He fires twice. And he kills it! But that leaves me with a new problem. There were two Chryssalids, and in the process of moving forward to kill the first one, my soldiers have left themselves within full view of the second. Rebecca goes into overwatch to protect the squad, but she doesn’t have the firepower to bring down a Chryssalid in one shot. If the second Chryssalid chooses to attack my squad, someone is going to die. The turn ends. I hold my breath. And the Chryssalid shreds a nearby civilian instead. It is not a pretty sight, but neither is it a clever move. 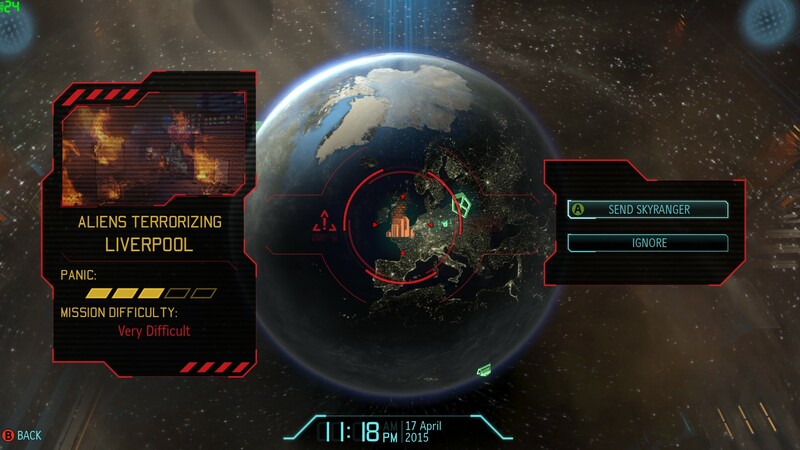 That leaves all six XCOM soldiers alive and combat-effective, and next turn, they take their revenge. Brian’s shredder rocket smacks into the Chryssalid, wounding it and — just as importantly — increasing its vulnerability to subsequent attacks. Next comes a grenade from Kat, leaving the monster injured but still alive. 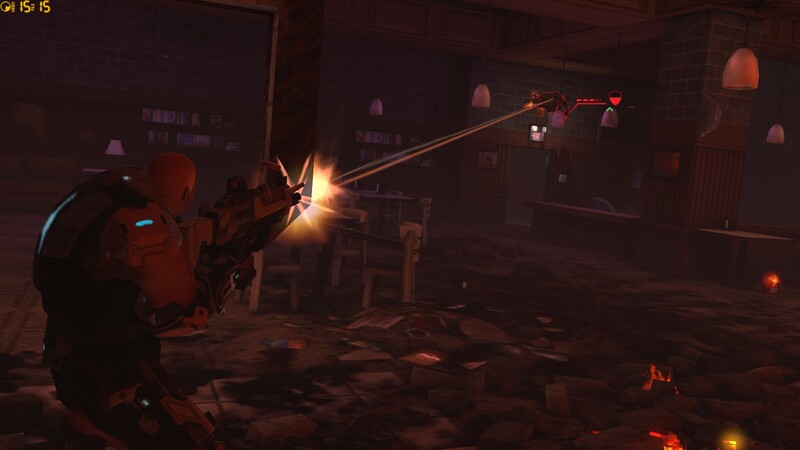 Finally it’s Thasero’s turn, and a burst from his rifle (pictured below) puts the Chryssalid down for good. Assuming I send that imminent satellite to Canada, that leaves Japan and Mexico in deep trouble. China, India, and Argentina aren’t far off. 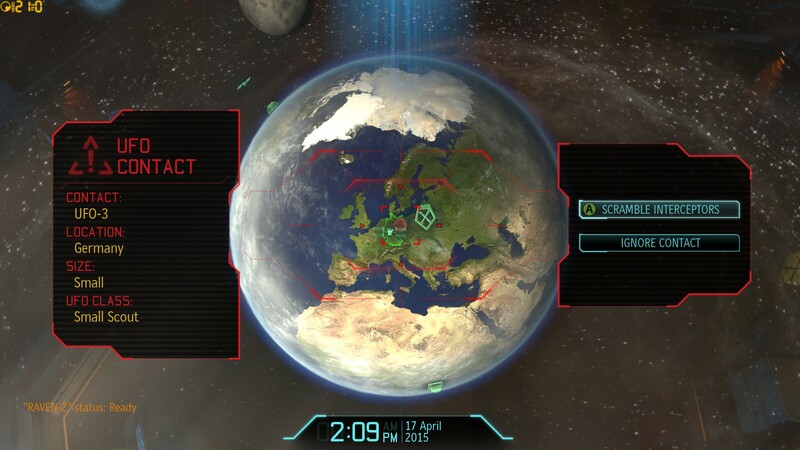 But Europe has been saved, our squad is still mostly alive, and XCOM – humanity – has just taken one big step back from the brink. By the time you read this post, I’ll be happily on my travels! Part 4 of this Let’s Play will probably go up next weekend, once I’ve returned and had the chance to play more. I look forward to seeing you then!